It’s the little things in life that matter the most sometimes…and in this case, the little art! Guests and artists joined us in either location in Philadelphia or New York for a show that celebrated the small and the beautiful. Jewel-like masterpieces made in traditional media were curated into a beautiful selection of work by contemporary artists as they share their vision with us. 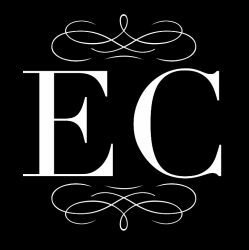 Curated by Jessica Libor. This show will traveled and was shown in Philadelphia and NYC. 1. February 23, 2018, at the Cynywd Club at 332 Trevor Lane, Bala Cynwyd, PA, from 6 to 9pm. This event was free for Cynwyd Club members and participating artists. All other guests paid a small entry fee to join the party. 2. Sunday, Feburary 25th for a one night showing in New York City at Con Artist Collective, 119 Ludlow Street, New York, NY. This event was free and open to the public. Below are images from the two exhibitions! Stargarden exhibition was hosted by The DaVinci Alliance on September 1, 2017 from 6 to 9:30pm, and included the artwork of 23 artists from various parts of the nation. The artists were: Antonietta Kies, Phyllis Gorsen, Jessica Libor, Jingyi Wang, Richard Buchanan, Cassandra Bacon, Lindsay Rapp, Ting Ting Hsu, Caterine Sanchez, Nathan Durnin, Gabrielle Chapman, Haleigh Keen, Bryan Guglielmi, Julianna Wells, Karen Lowry, Erin Paulson, Alayne Abrahams, Charissa Schulze, Daniel Boyer, Marshall Jones, Bryant Girsch, Greg Fisher, and Bryan DeProspero. The artwork was primarily 2 dimensional, although one sculpture was present: a fascinating pinhole-inspired tableau. The work all displayed a continuity in keeping with the ideas of stars, celestial movements, moonlit gardens, and the growth of earthly things contrasted with the eternal shimmer of the heavens. The evening’s entertainment was provided by Seth Aaron Jones and Christy Irizarry, a Philadelphia based singer-songwriter performing duo. A starry, festive photo booth proved the perfect opportunity for visitors, collectors, and artists to pose and take a souvenir Polaroid home. Below are selected works from the show. To view the complete exhibition catalog, click STARGARDEN Era Contemporary catalog. 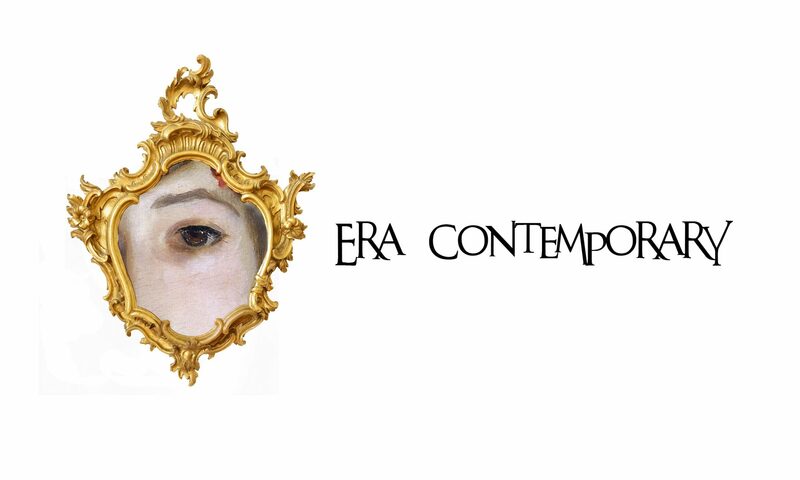 Enter your email address to follow Era Contemporary and get exclusive invitations and updates. “Arabesque,” by Sofya Mirvis @sofyaspace is a beautiful, delicate painting that will be part of “The Art of Performance” exhibition and dramatic performance on May 4 in Wayne, PA. Click the link in bio to register for free to attend this unique event! Did you know this is also a benefit exhibition? A portion of the proceeds will go towards the Women’s Center of Montgomery County. There’s something fascinating and beautiful about this piece that is telling a story I’d like to know. “Oranges” by @austindimare will be on view at “The Art of Performance” on May 4th. Click the link in bio to register to attend the event for free! “Portrait in Motion,” by @lucasbononiart is an oil painting that will be present at “The Art of Performance” exhibition with @theactorslabphilly . Come one and all—the event is free and open to the public, but registration is required! Register by clicking the link in bio! Interested in this piece? Send us a DM. Ballet and nature inspired piece, “Meadow,” by @jesspolkstudio for “The Art of Performance!” This exhibition is coming up on May 4th, please register to attend for free by following the link in our bio! Interested in acquiring this piece? Send us a DM! This painting of a unique tableau of vintage figurines by Allen Dean Harris will appear in our next exhibition on May 4th, “The Art of Performance.” You are invited to attend this exhibition and acting dramatization performance put on and hosted by @theactorslabphilly . Please click the link in bio for full details on the one night exhibition, we could love to see you there! Image: “Asia,” by Allen Dean Harris, oil on canvas. Message for availability. “Connect,” oil on canvas, 12” x 16”, by Antonietta Kies. Part of our “Art of Performance” exhibition on May 4 with @theactorslabphilly ! Click the link in bio for all the details and to RSVP. Enjoy an evening of art, and a acting performance by Actor’s Lab students written just for the evening!